Two large tracts of land just outside of Atlanta’s central business district, Turner Field and the Atlanta Civic Center, will soon be redeveloped. 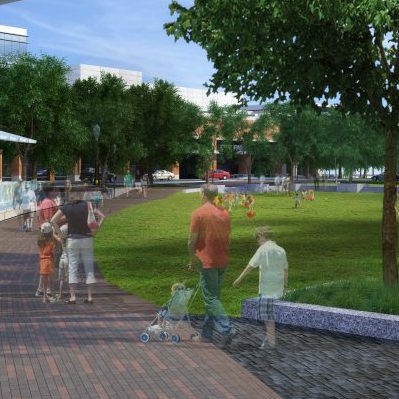 While the plans have not been finalized, both areas are expected to be redeveloped into mixed-use commercial and residential sections. This move by the City of Atlanta to sell both properties for mixed-use developments represents a change in how many Americans now view cities and urban development. And, it represents at least a small semblance of the return to urban development in Atlanta, a city that for the last 60 years has supported anti-urban and suburban-influenced development within its previously urbanized areas. 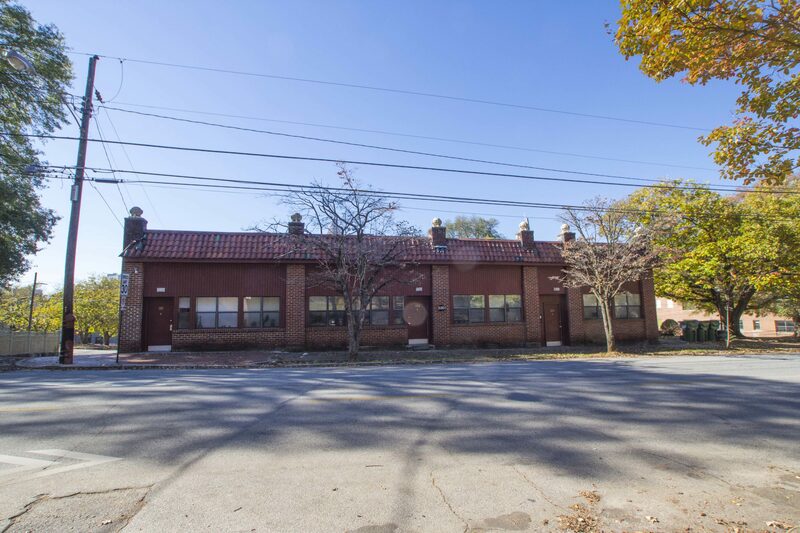 These two redevelopment projects will test how committed the City of Atlanta’s leaders and private developers are to returning the city’s form to an urban environment where vehicle throughput capacity and private vehicle storage are not the dominant concerns. 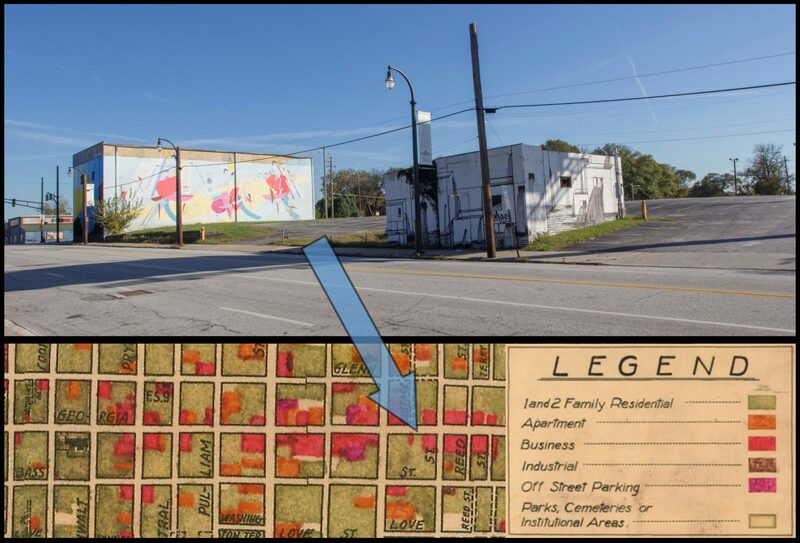 They can be opportunities to bring back people-centered urban spaces on land where the once thriving, walkable, connected, urban residential neighborhoods of Buttermilk Bottoms and parts of Summerhill existed. These urban residential neighborhoods were consumed by a planning ideology that convinced nearly all segments of American society that car-focused and compartmentalized land use development in both suburban and urban areas were common sense. This ideology also convinced the American public that density and commercial activity, even small corner stores, within residential neighborhoods were fundamentally problematic. In the decades after World War II, Atlanta lost many of its urban neighborhoods to this development ideology, which can be understood as a war on density. While some elements of this development mindset seem to be fading as mixed-use development now appears to be desirable, it still holds immense influence on how urban space in Atlanta is configured. This essay will briefly explain how Atlanta’s war on density was propagated, explore what Atlanta has lost in terms of the residential built environment, and will end by challenging Atlanta’s leaders and developers to fully abandon the war on density in favor of people-focused, urban residential development in the Turner Field and Civic Center areas. Many of these features, namely a compact urban form that encourages pedestrian activity, land use diversity, and equitable access to goods, services, and facilities were removed from Atlanta’s residential neighborhoods that surround the central business district. 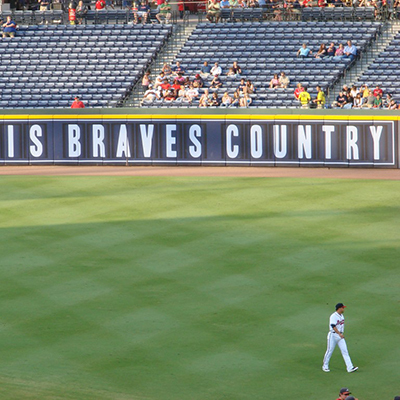 Turner Field and the Atlanta Civic Center both exist because the land where they now sit was cleared during the 1950s and 1960s through urban renewal and highway creation projects. By the 1950s these sections had become poorer parts of the city and due to both overcrowding and some unsanitary living conditions, parts of these neighborhoods could be considered slums. However, slum conditions did not exist in all sections of the cleared neighborhoods. What did exist were racial tensions, and the role that race played in the clearing and redevelopment of these areas has been well documented in several important works on Atlanta’s history during this period. Ronald Bayor, Larry Keating, Irene Holliman, and others have illustrated how significant race has been during the urban renewal and highway development period in Atlanta. 2 The evidence is undeniable that black communities bore the brunt of redevelopment forces during this period and that redevelopment sites were, in part, chosen because blacks lived in these areas. However, while race cannot and should not be ignored, it makes up only one part of the rationale behind Atlanta’s large experiment in redeveloping residential sections of the city from the 1950s through the 1970s. The arguments made by planning professionals against density and mixed land uses that were so clearly articulated in the literature produced by the Atlanta City Planning Department and the predecessors to the Atlanta Regional Commission during this period changed how business leaders, politicians, and the public came to view urban space. Race and capitalist processes were forces of change during this period. But the specific ways that land uses in Atlanta’s older urban residential neighborhoods changed and how this change fundamentally altered the City of Atlanta’s built environment stem from the ideas drawn up by city planning professionals. Declines in population are predicted for some central districts. They will result from ``artificial`` rather than ``natural`` causes, however—public policies to reduce existing densities, wipe out blighted areas, improve the racial pattern of population distribution and make the best possible use of the central land areas. Correcting the perceived obsolescence of Atlanta’s built environment became the mantra of redevelopment forces for decades. The urban land uses that accommodated pedestrians, such as narrow streets, narrow land lots, mixed residential and commercial properties, and dense residential sections all came under intensified attack after World War II and federal urban renewal and highway creation policies helped to fuel this war on density by adding significant funding for projects that supported removing urban elements of perceived obsolescence. In Atlanta, the residential areas selected for urban renewal projects and highway interchanges were in part chosen because of the racial make-up of the population, but they were also chosen because they contained the most egregious violations of the automobile age: built environments that were developed to support pedestrians, wagons, horses, and carriages. The thought process behind Atlanta’s war on density, i.e. the attack on neighborhoods with mixed residential and commercial land uses, was clearly articulated in Shall We Rebuild Again? Atlanta Faces the Problem of Central Area Blight, a 1959 urban renewal neighborhood analysis study published by the Atlanta-Fulton County Joint Planning Board. 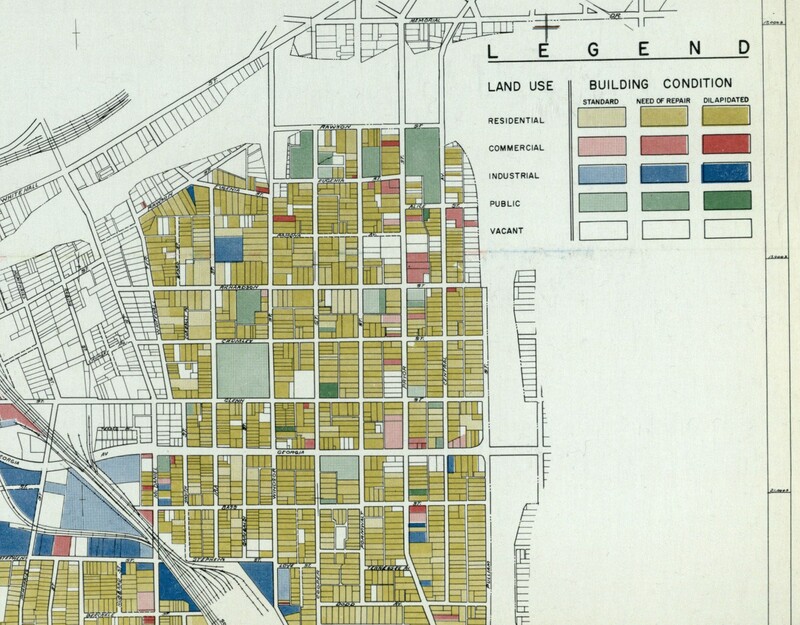 This study outlined the planners’ views on what constituted obsolescence and blight, and also mapped the local neighborhoods that were believed to be incompatible with modern city design. Poor Layout of Lots, Blocks and Streets. Not all blighting factors are readily recognized, even the physical ones. A poorly designed subdivision, for example, may well prove to be a blighting influence and a blighted area itself simply because of an impractical layout of its lots, blocks and streets. Platting practices which result in small, oddly-shaped and poorly-oriented lots stack the cards against the residences to be built on those lots. Residential areas laid out on a grid pattern similarly are a threat to themselves even as the streets of them are dedicated, staked and built. Multi-unit dwellings with inadequate yard space can be found throughout the area but most especially is this characteristic along Boulevard Drive. Many new apartment buildings are going up without adequate yard and off-street parking space. More stringent regulation of the dwelling unit-land area relationship appears necessary in order to cope with this particular problem. Advocating for adequate open space stems from real concerns about overcrowding in cities among urban thinkers and progressives during the late 1800s and early 1900s. However, beginning in the late 1940s and early 1950s these concerns about urban space transformed from ideas about unhealthy conditions to ideas on how to reconfigure cities into spaces that resembled the tenets of suburban development, i.e. low densities, large yards, large uniform sections of land uses, ample parking, and wide thoroughfares to carry private automobiles. This type of development is immediately obvious in the suburbs surrounding Atlanta. However, what is less immediately obvious is that from the 1950s through today, much of the City of Atlanta has been and continues to be redeveloped under principles that were so widely and publicly propagated during the urban renewal and highway creation period. During the urban renewal period, city planners and urban leaders hoped to transform parts of urban residential neighborhoods into commercial or municipal developments where ample parking would be paramount. And city planners and urban leaders also planned to remake parts of urban residential neighborhoods into suburban style residential sections. Buttermilk Bottoms and parts of Summerhill are clear examples of neighborhoods that were redeveloped into both commercial and municipal mega developments; the Atlanta Civic Center and the Atlanta-Fulton County Stadium, later Turner Field. The areas adjacent to the Civic Center and Turner Field were planned to be rezoned and redeveloped to have uniform land uses, low densities, and dead-end streets to discourage through-traffic. Shall We Rebuild Again provided an example of how city planners intended to remove urban elements from Atlanta’s neighborhoods. The “Schematic Presentation of Possible Re-Use: Copper-Glenn Street Area”, present-day Mechanicsville, shows uniform land uses, a deliberately disrupted street grid, and the presence of wide thoroughfares. The Mechanicsville redevelopment schematic presented a plan for near wholesale redevelopment, essentially a clean slate for developers to construct a low density, suburban influenced residential section. In other areas of the city, such as the area east of the Atlanta Civic Center, what was then Bedford Pines and now the western section of the Old Fourth Ward, the urban elements of the neighborhood were selectively removed in an effort to achieve uniform land uses. Through urban renewal individual parcels containing commercial structures were planned to be rezoned from “community commercial” to “residential” or from “community commercial” to “commercial”, thus selectively removing mixed-use from this neighborhood. 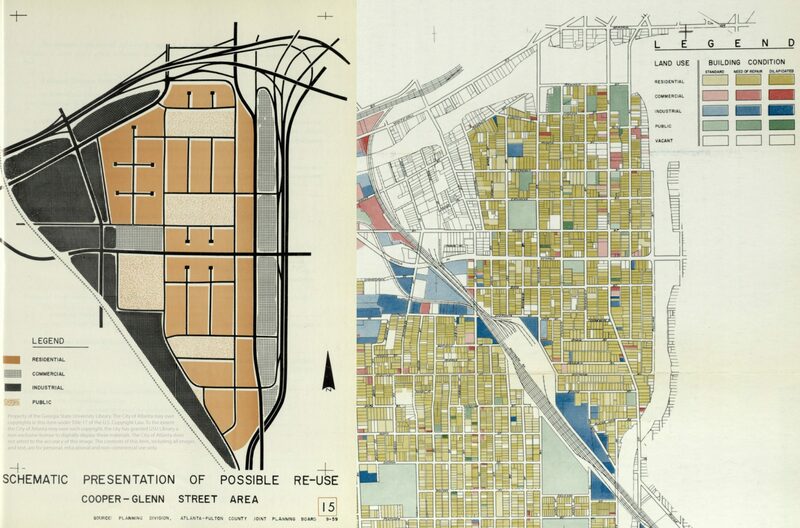 Examples such as the ones presented here illustrate how the urban residential neighborhoods of Atlanta have either been entirely eliminated or have had many of their urban qualities, i.e., mixed land uses and street grid patterns, intentionally removed. While only a few of the many and ambitious urban renewal plans for Atlanta came to fruition through the federal urban renewal program, the ideas presented during this period became accepted by nearly all of Atlanta’s residents. From the 1950s through to today, Atlanta has embraced the war on density and much has been lost. According to a 1958 Atlanta Constitution article, businessmen urged the city to extend the Rawson-Washington urban renewal project (present day Turner Field) to “Georgia Avenue so that parking spaces can be provided in front instead of behind mercantile establishments.” 24 These businessmen were “concerned that the public would not drive to the rear to park” and went as far to say “they would be put out of business unless front parking is provided.” 25 Instead of gaining parking in the rear these places of business either became parking lots or were later redeveloped as the actual Turner Field Stadium. The few business structures that still exist on Georgia Avenue are currently vacant and surrounded by empty lots. They are victims of Atlanta’s war on density. Incredible amounts of the type of mixed-use, human scale development that makes so many of Atlanta’s surviving pre-World War Two neighborhoods so interesting have been removed since the 1950s. The corner of Glenwood Avenue and Cherokee Avenue in Grant Park serves as an excellent example of this surviving urban residential development. This small community business section contributes to neighborhood vibrancy and provides residents with pedestrian access to services, thus minimizing the need to drive from one’s home for all activities. However, just several blocks from this site on the corner of Hill Street and Georgia Avenue a “non-conforming” commercial structure has been lost to a conforming single-family home. The corner of Glenwood Avenue and Cherokee Avenue in Grant Park—an example of the type of mixed-use land use patterns that contribute to thriving urban residential neighborhoods. Photos by author. While the Atlanta Civic Center and the Atlanta-Fulton County Stadium and later Turner Field completely eliminated the neighborhoods where these two mega projects now sit, over time, the neighborhoods surrounding them have lost most of their small commercial structures. The area around the Atlanta Civic Center has lost nearly all of the small-scale commercial buildings and many of its residential structures. In their place apartments and condominiums rose during the 1980s, 1990s, and early 2000s. These structures are decidedly un-urban and have been erected as gated communities existing as car-centered, residential islands ringed with protective metal gates that deny urban vibrancy. While much was lost due to Atlanta’s war on density, perhaps the most significant loss is the urban quality of Atlanta’s residential neighborhoods. Since it became accepted as common sense that the presence of a few commercial establishments within a residential section was bad for the character of the neighborhood, both commercial and small-scale industry were slowly removed and residents became increasingly dependent on automobiles for all activities. 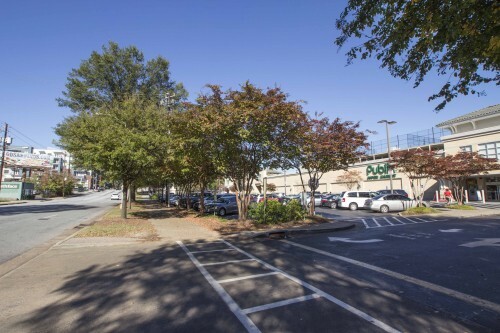 The type of mixed-use development that existed in nearly all of Atlanta’s pre-World War II neighborhoods supported a level of density that car-centered residential development never will, simply because the need for tremendous vehicle storage is unnecessary when residents can walk or take transit to shop or to work. In the process of changing Atlanta’s once urban residential neighborhoods into large swaths of uniform land uses, the character of the city has become significantly less urban. The corner of Parkway Drive and Felton Drive in the Old Fourth Ward. One of the only small-scale or “Community Business” commercial structures remaining near the Atlanta Civic Center. Photo by author. Apartments along Pine Street and Central Park Place give the appearance of suburban living, walling off the surrounding city. Photos by author. A large, suburban-style supermarket with a surface-level parking lot on the corner of two very wide thoroughfares, North Avenue and Piedmont Avenue. Photo by author. So much of the City of Atlanta has been redeveloped to accommodate the demands of the private automobile over urban design that accommodates healthy, walkable urban neighborhoods. The war on density has removed small commercial structures, created many surface-level parking lots, homogenized land uses, and caused the widening of roads in places where walkable neighborhoods with diverse, human-scale development once existed. While evident in many places in Atlanta, part of this process was captured in a 1965 photograph of the widening of North Avenue from a relatively small road to a six lane thoroughfare. This intersection of North Avenue, Central Park Place, and Argonne Avenue is only blocks from Midtown, but now has the character of a major thoroughfare in any suburban area across the country. 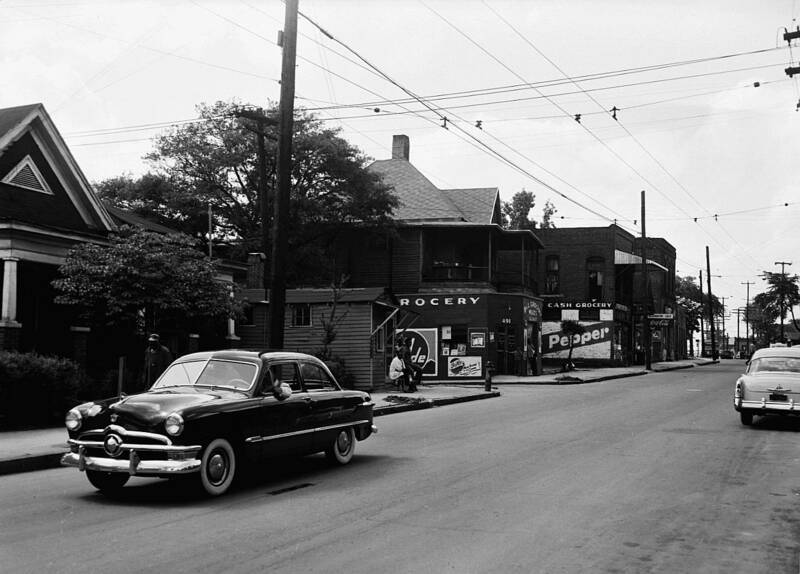 Although today a grocery store exists within walking distance from this intersection, the built environment of the entire area overwhelmingly favors automobile transportation and much of the land of this area is devoted to moving or storing private vehicles. The type of built environment that once made this section an urban residential neighborhood has been completely eliminated. This space has been reconfigured to almost solely serve the private automobile. The widening of North Avenue in 1965 and North Avenue in 2015. This stretch of North Avenue has been redeveloped to serve the private automobile. Photo by author and “Roads and Highways, View of Construction to Widen North Avenue, July 4, 1965” Atlanta Journal-Constitution Photograph from the Planning Atlanta Collection, Georgia State University Library. Evidence of the war on density mindset and its effect on the built environment of Atlanta are not limited to the few examples provided in this essay. Nearly all of the small-scale commercial structures that once peppered the neighborhoods surrounding the central business district have been removed. 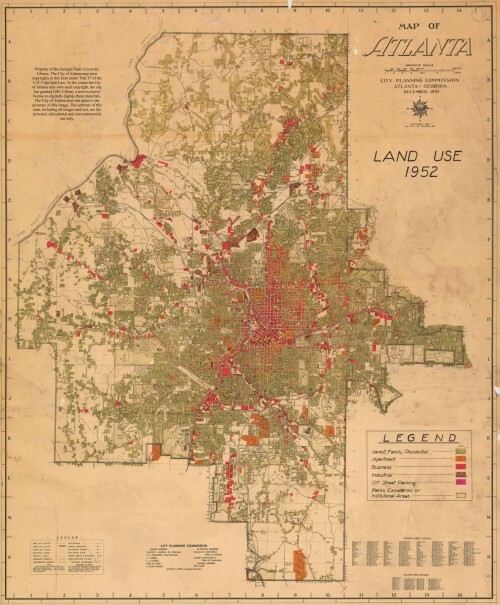 Comparing this 1952 Atlanta Land Use map with current satellite imagery can serve as a guide to Atlanta’s lost urban residential past. The City of Atlanta now has an exceedingly rare opportunity to correct some of its most atrocious attacks on the urban built environment. As the city works with private developers to once again redevelop the areas of Turner Field and the Atlanta Civic Center by pursuing urban residential development designed primarily for pedestrians, cyclists, and smaller commercial activity, these two redevelopment projects can serve as the beginning of Atlanta’s abandonment of anti-urban and suburban influenced development and as a return to the defining features of cities: walkable, mixed-use, people-centered development. Atlanta may have wiped away most of the small-scale commercial and industrial establishments that once dotted its old residential neighborhoods, but new projects over the past several years indicate that the City of Atlanta and developers have finally embraced at least some concepts of mixed-use land use development. However, all of the recent mixed-use projects in Atlanta still concentrate nearly all commercial activity in one area such as the Edgewood Retail District and Atlantic Station. Opportunities for small-scale commercial activity such as the grocery store that once existed on Hill Street and Georgia Avenue in Grant Park, largely do not exist, denying the possibility for truly walkable neighborhoods. Instead, as the City of Atlanta approves more mixed-use development, local officials should look to the many vibrant urban residential neighborhoods across the nation and the world, which have scattered community commercial activity and which have either no parking garages or only very limited underground parking for only a fraction of the residents and on-street parking for all others. Atlanta lost many of its urban qualities through conscious land use changes. The City of Atlanta has within its governing authority the power to implement wise land use regulations that can promote urban vibrancy and discourage, what Darin Givens of the “ATL Urbanist” has termed “drive-to urbanism.” Atlanta may have finally once again come to value the urban qualities of mixed-use development. However, mixed-use developments that do not maximize land for people, but instead reserve significant space for vehicle throughput capacity and storage, are still symbols of the war on density. If the city continues to allow developers to erect super-parking decks and if the city continues to reserve its public streets almost exclusively for private automobiles, Atlanta will remain an anti-urban city where the demands of the private automobile reign supreme over the actual lifeblood of the city— its residents, also known as pedestrians. The redevelopment of Turner Field and the Atlanta Civic Center will test Atlanta’s willingness to become, once again, an urban center. Joseph Hurley is a Data Services and GIS Librarian at Georgia State University Library. His research interests include historical GIS, urban renewal, and built environment change. 1. ↵ Emily Talen, City Rules: How Regulations Affect Urban Form, (Washington, DC: Island Press, 2012), 1-2. 2. ↵ See Ronald Bayor’s Race and the Shaping of 20th Century Atlanta (1996), Larry Keating’s Atlanta: Race, Class, and Urban Expansion (2001) and Irene Holliman’s “From Crackertown to Model City? 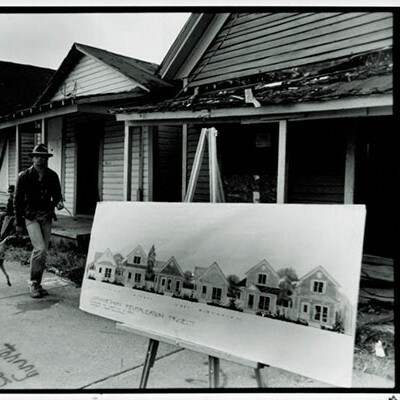 Urban Renewal and Community Building in Atlanta, 1963–1966” (2009). 3. ↵ See Christopher Klemek’s The Transatlantic Collapse of Urban Renewal: Postwar Urbanism from New York to Berlin (2011) and Sonia Hirt’s Zoned in the USA: The Origins and Implications of American Land-Use Regulation, (2014). 7. ↵ Jack Spalding, “What’s To Be Done About Atlanta’s Downtown ‘Blight?’: Cancerous Areas Need To Be Redeveloped To Insure Healthy Future for Heart of City,” Atlanta Journal and Atlanta Constitution, (Atlanta, GA.), Feb. 10, 1952. 12. 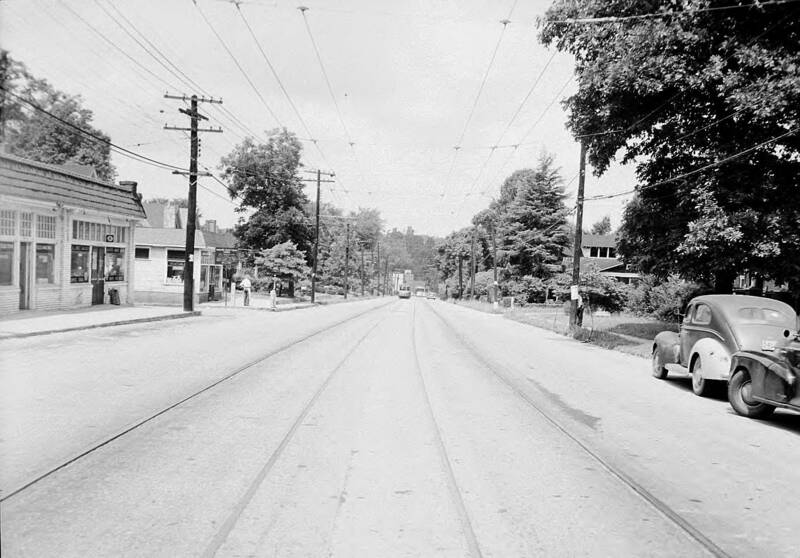 ↵ Bankhead Avenue July 16, 1948, from the Lane Brothers Photographs Collection, Georgia State University Library. 19. ↵ Element of Atlanta’s Workable Program: Land Use and Building Conditions; Study Areas 1 and 2, 1959 from Shall We Rebuild Again? Atlanta Faces the Problem of Central Area Blight from the Planning Atlanta Collection, Georgia State University Library. 21. ↵ Element of Atlanta’s Workable Program: Land Use and Building Conditions; Study Area 9, 1959 from Shall We Rebuild Again? Atlanta Faces the Problem of Central Area Blight from the Planning Atlanta Collection, Georgia State University Library. 22. ↵ Maps from Shall We Rebuild Again? Atlanta Faces the Problem of Central Area Blight from the Planning Atlanta Collection, Georgia State University Library. 23. ↵ Bedford-Pine Urban Redevelopment Area: Zoning Changes Map, 1973 from the Planning Atlanta Collection, Georgia State University Library. 24. ↵ Herman Hancock, “Merchants Panel Aids Rawson St. Renewal,” Atlanta Constitution, (Atlanta, GA.), May 22, 1958. 26. ↵ Photo by author and Map of Atlanta: Land Use 1952 from the Planning Atlanta Collection, Georgia State University Library. 27. ↵ Photo by author and “Hill Street and Georgia Avenue, Grant Park Neighborhood” February 5, 1952, from the Lane Brothers Photographs Collection, Georgia State University Library. 29. 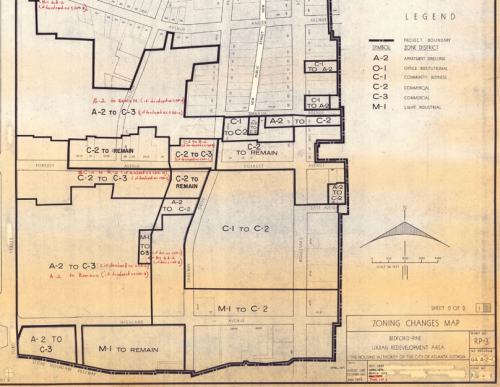 ↵ How to do Neighborhood Planning from the Planning Atlanta Collection, Georgia State University Library. 30. ↵ Map of Atlanta: Land Use 1952 from the Planning Atlanta Collection, Georgia State University Library.